Back in the 80s, a nest with white alligator babies were discovered in Louisiana and instantly became reptilian celebrities. 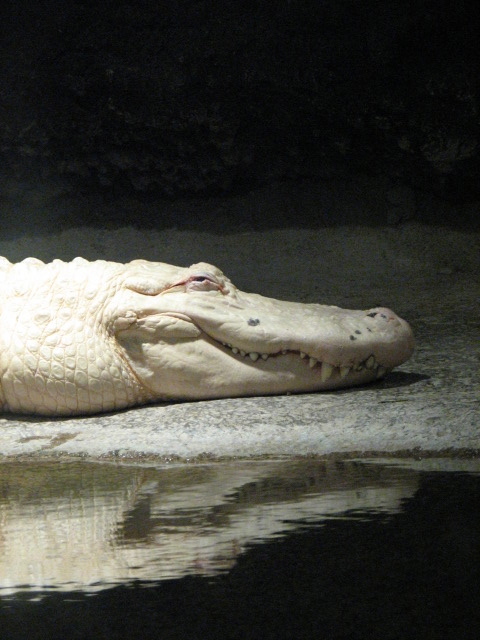 The gators are leucistic instead of albinic; the pigmentation is reduced and their eyes are blue. 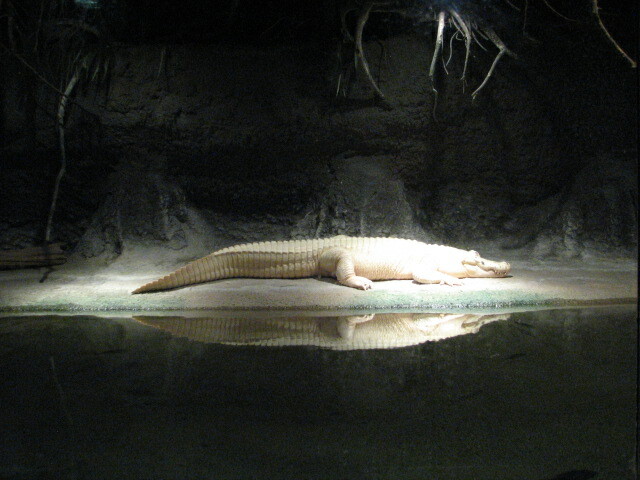 Today, in the New Orleans’ Audubon Zoo, some of these white alligators, now fully grown, sit silently behind glass. It seems debatable whether they are waiting to pounce on prey or, like child prodigies that burned out, lie jaded and oblivious to the excited and perhaps startled viewers on the other side. Up close, it looks as though it’s grinning. White alligators. It’s almost like seeing a unicorn, no?